Welcoming the opposition parties's anti-Modi agenda, Jaitley said,"They are making Prime Minister Modi’s continuation in office as a key political issue. We in BJP welcome this agenda being set by the opposition." 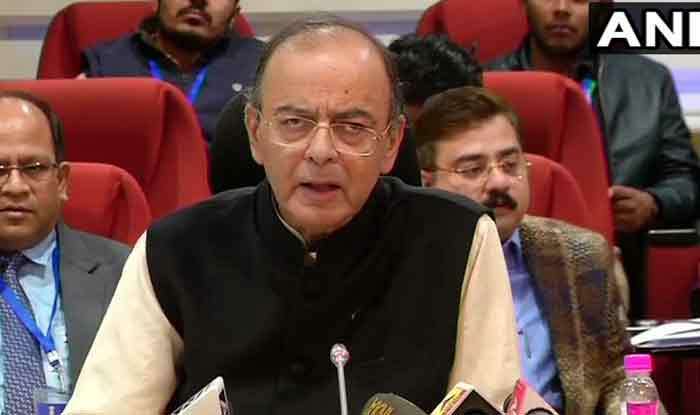 New Delhi: Union Finance Minister Arun Jaitley on Monday took potshots at ‘Mahagathbandhan’, mulled by Opposition parties, claiming that they are scared of Narendra Modi-led government’s popularity and its strong chances to retain power in the Lok Sabha elections 2019. “People are more intelligent than what politicians may think. They never choose chaos as an option. Aspirational society never commits collective suicide as they do not suffer from a Lemming Syndrome. People want a 5 Year Government, not a 6 Month one,” Jaitley asserted in his latest blog titled ‘Agenda for 2019 – Modi Vs. Chaos’. The Finance Minister claimed that the level of satisfaction with Prime Minister Narendra Modi is very high and thus the anti-Modi campaign is bound to fail. “If that weren’t so, where was the need for multiple disparate forces to come together against him? It is only the fear of his popularity and comeback that is bringing them together. The Prime Minister remains by far the most popular, decisive and dynamic leader of the present set of politicians,” he stated. The Finance Minister also mocked TMC-led ‘United India’ rally in Kolkata saying the event was significant since the opposition politics has thrown up four desirous Prime Ministers wishing to challenge Prime Minister Modi. “Besides Mamata Banerjee, the other three – Rahul Gandhi, Mayawati and KCR were significantly absent in Kolkata,” he said, taking a dig at the grand alliance.